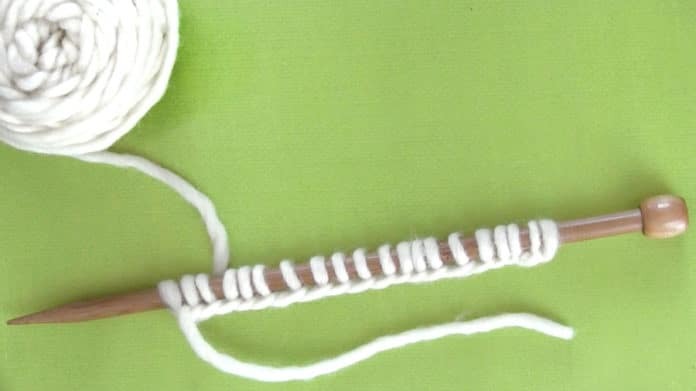 Today we are going to place yarn onto one knitting needle to begin knitting. The cast on method that we are using today is called the long-tail cast on. 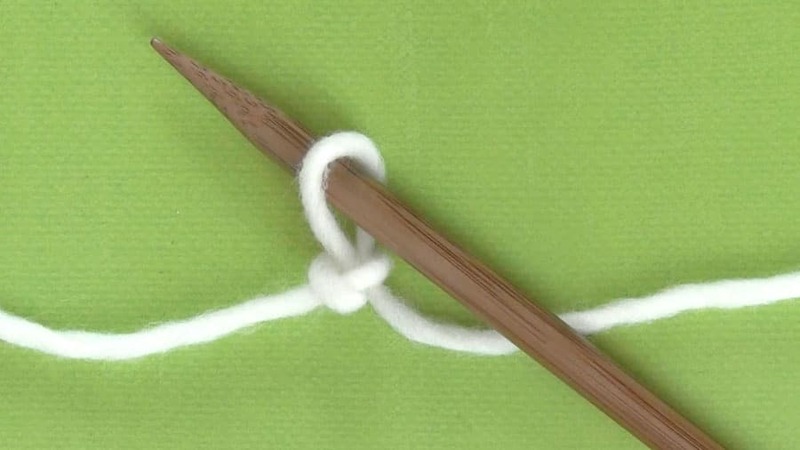 To begin, you will want to create a Slip Knot and place your needle inside the loop. 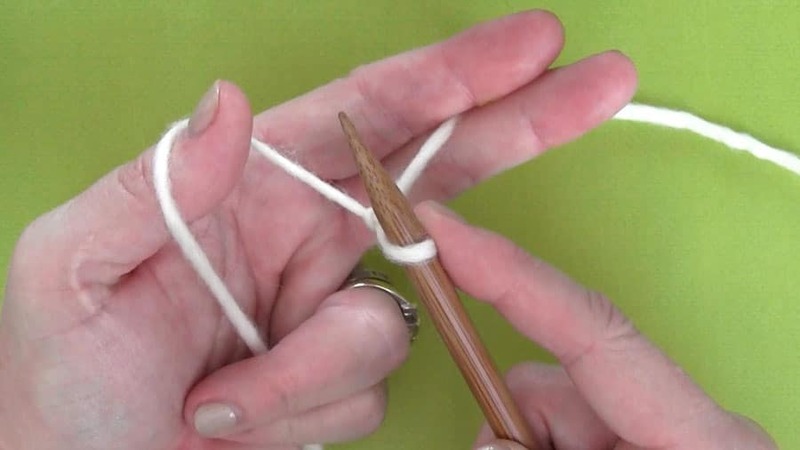 Holding your knitting needle in your right hand you’re going to take your left hand and the yarn on the right side hold it between your two fingers. Then take your other two fingers and hold the other yarn tail down next to your palm. 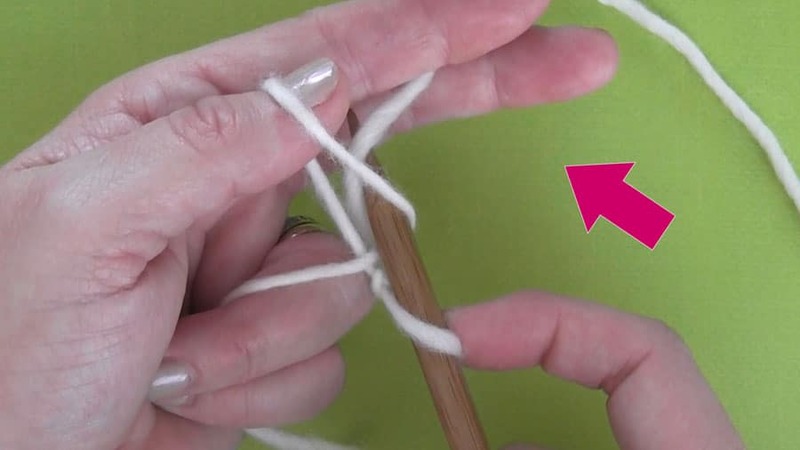 You’ll then scoop your thumb underneath that yarn and hold it upward. And lastly, with your right hand, take your index finger and just hold it onto the stitch and that is going to help keep it in place while we’re casting on. Once you have your yarn in your hands in this configuration, you are ready to continue on. 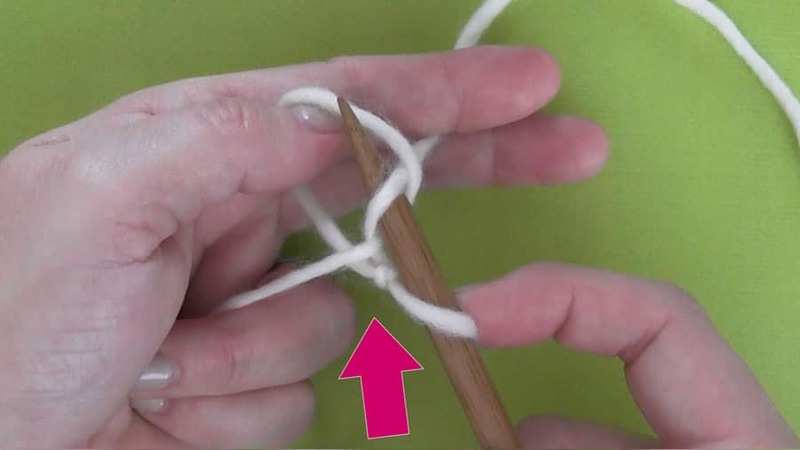 Your knitting needle is going to the outside of the left, picking up that yarn and going right through and then it’s going to travel over to the right side to the outside of the right yarn and it’s going to pick up that yarn as well underneath. 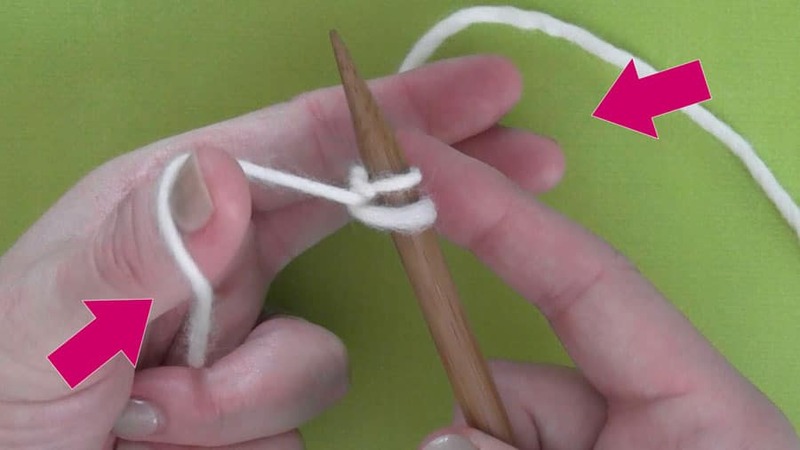 Then that bit of yarn is going to come through your thumb loop and then with your left hand you can let all of that go and lightly cinch up your two strands of yarn and there you have cast on your knitting stitch. 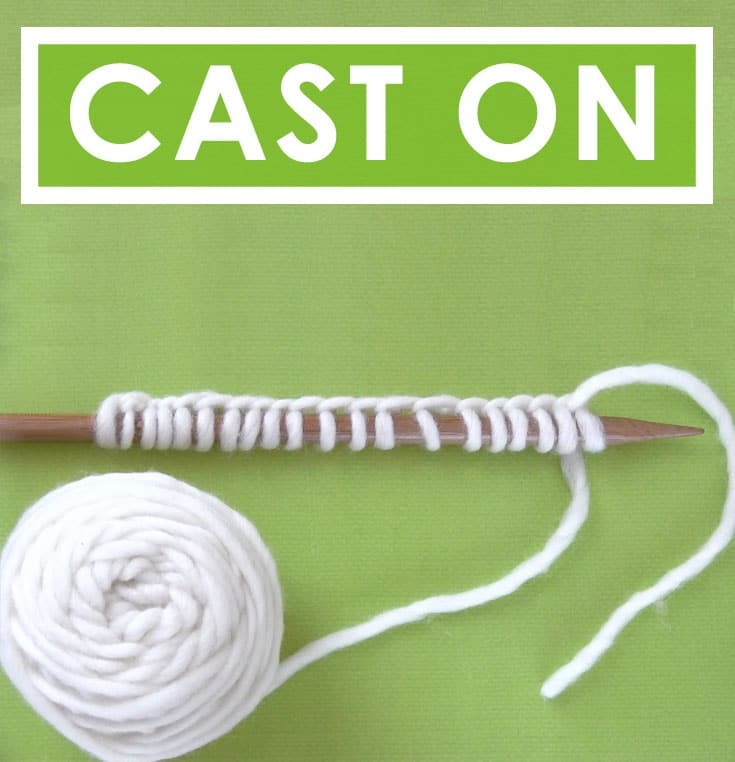 For a complete look at how to Cast On Yarn, you can watch my video above. Subscribe to my YouTube channel Studio Knit for more fun knitting ideas and check out the Absolute Beginner Knitting Series Playlist on YouTube. Here’s a simple suggestion for what to do next that will help you stay on track in the Series. 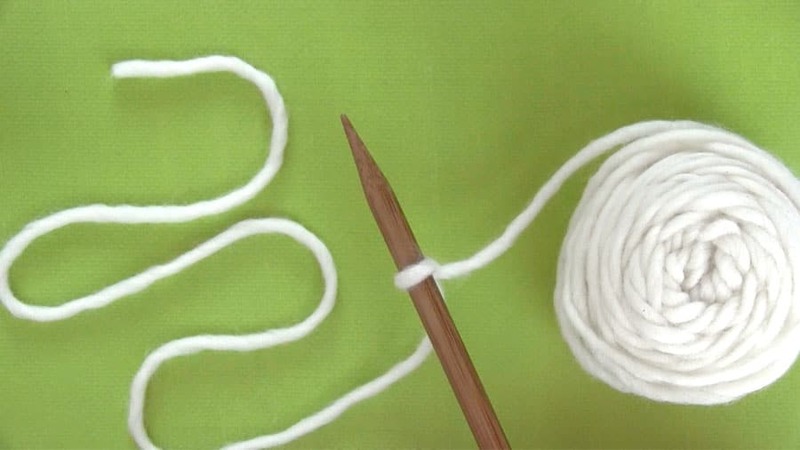 Cast On a total of 20 stitches onto your knitting needle. Next, we will begin knitting our first row in the knit stitch.